Gregg H. Metzger is an AV® Preeminent rated trial, appellate and transactional attorney. In practice for more than 26 years, he has represented a wide variety of business concerns—from individual entrepreneurs to Fortune 500® companies—in complex and diverse business, intellectual property and unfair competition litigation. 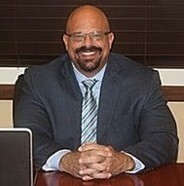 He has extensive experience handling litigation involving commercial relations, trademarks, false advertising, trade secrets, non-compete covenants, employer-employee relations, business torts, license agreements, intra-organizational relations, real estate, creditor-debtor relations, judgment enforcement, product liability defense and medical malpractice defense. Although based in South Florida, Mr. Metzger has litigated, tried cases and appeared as appellate counsel for notable clients in federal and state courts, as well as arbitration proceedings, throughout the United States. In those forums, he has successfully prosecuted and defended actions seeking multi-million dollar damages awards as well as injunctions, including cases in which his clients prevailed by way of verdicts and appeals. Mr. Metzger has significant experience in emergency injunction cases, particularly cases involving the enforcement or defense of non-compete covenants. He further enjoys the distinction of having procured judicial invalidation of a non-compete covenant upon a final trial on the merits, as opposed to a mere preliminary proceeding. Mr. Metzger also has a substantial transactional background, including negotiation and preparation of agreements (such as commercial, employment, distributorship, non-compete, non-disclosure, manufacture/supply, intra-organizational, sale/purchase of business, sale/purchase of goods, security, license, debt restructure and customized agreements), and representation of clients in sale/purchase of business transactions (equity or asset acquisition), business/venture formation transactions and secured transactions.